It's almost that time again. 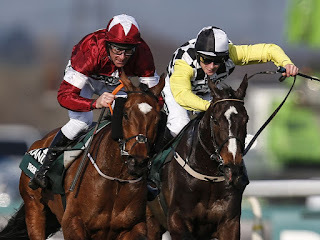 On Saturday 6th April at 5:15pm.the one race that just about everyone tunes in to, The Grand National, is set to captivate millions both in the UK and around the world. Will 4-1 favourite Tiger Roll repeat his 2018 success, and become the first horse since Red Rum to win back to back? We'll soon find out! Below is a list of the 40 horse line up for National, along with the horses weight, trainer and jockey. Welcome to FestivalFocus.co.uk, your one stop site for news and analysis of horse racing's most prestigious festivals and events. We cast an eye on the Cheltenham Festival, Grand National, Royal Ascot and More. Regular updates, tips and insights will keeep you coming back for more!